Remember the gold old days when you could get a free computer as long as you agreed to pay a monthly dial-up provider like AOL $30 a month for slow, overpriced Internet access? Well grab your credit cards and put on your bifocals! The deal has returned courtesy of Best Buy and Sprint, but this time the screen is a bit smaller. ZDNet is reporting that the two companies are partnering to offer a Compaq-branded HP Mini 110c netbook for only 99 cents when you sign a two-year 3G Internet contract. These free computer offers are REALLY tempting because consumers in a recession-battered economy get what they want right now – a new computer – by signing a promise to give more money later. 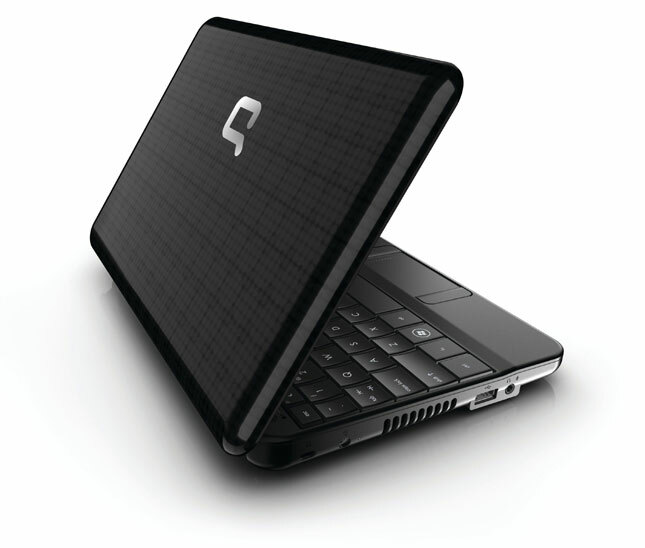 Under this deal, you get the $389 retail value netbook for only $.99. The contract costs about $60 a month, so if you multiply that by 24 months, you would find that the contract will cost you $1,441 over its two year term. Obviously the Sprint 3G connection is portable, so you are paying a price premium on your Internet connection to be able to take it with you anywhere you go. Additionally, there are limits to how much Internet connectivity you can use before additional charges get lumped in. For the sake of comparison, the cost for you to buy this netbook and use it on a budget cable modem or DSL connection would be much, much less expensive. Try $20 a month for the DSL Internet connection and $389 for the netbook. The total cost over 2 years is only $869 – a savings of $572 over two years (nearly $24 a month). No Home Networking With Sprint 3G? Some consumers may try to fudge the numbers by ditching their traditional internet service provider (ISP) for the Sprint 3G device. Doing so would bring the numbers in line with what you are paying now over a 2-year term, but it would also introduce other issues. While the hardware exists to do it, sharing the internet connection from your 3G device between multiple computers on a home network would result in dial-up like speeds for many applications and most likely additional bandwidth charges. Forget YouTube, torrenting, file sharing, and always-on connectivity. This could work if you plan on only using one computer at a time in your home and also don’t depend on any home network connectivity (wireless printers, home media servers, or shared network resources). But this scenario is unlikely considering the fact that a netbook is not intended to replace your main PC (it adds portability to your computing portfolio). It is a pretty safe assumption that most netbook owners will have more than one PC in their home. Typically, owners who have more than one PC have them networked so they can share printers and internet connections. The Bottom Line – Don’t Do It! Netbooks are cool. Portable 3G connections are cool. A 24 month contract that locks you into both is not cool. If you truely have the need for a protable 3G Internet connection (or are paying for one already) grabbing a free netbook out of the deal might be a smooth move. After all, you are already paying the bill for the portability. On the other hand, if you really USE your internet connection this could be a $24 a month albatross around your neck that you don’t need and shouldn’t burden yourself with. My botom line is this is some really slick marketing, but not a deal you should jump into unless you have some really specialized needs. Thanks for the heads up Thor. These kind of offers do seem really tempting, especially for people who do not currently own a pc. Personally I avoid pretty much everything that tries to lock me in for a 2 or 3 year term. You just know that they will all try to charge a cancellation fee if you try to leave early. That just goes to show you that if it sounds too good to be true it probably is! Great Stuff! This is truly informative article. I have visited first time but I will come again and again to get something more from you. Well yes.. it did sound to good to be true in the first instance.. but now I bet its not a bad deal at all. True you get locked in for 2 years but then a note book at that installments with the connectivity.. its worth it.. if you are hard up. I would say its still great deal in recession time yes compare to previous they cut down some benefits but ultimately after considering all costing become cheaper and affordable deal . In a world where the money supply is drying up, offers like this would seem all too enticing to the buy-now-pay-later generation, but when analized properly it is a decidedly less rosy option. It is the same with cellular service providers that give you a serious top of the range mobile handset (that will be obsolete in 6 months time…) in exchange for a 24 month contract. Personally I wouldn’t want to be stuck with a netbook for that long. Most long term contract type deals have some catch that makes them not worthwhile. I think it’s a good deal. You actually rent a notebook with internet connection at 60 Usd/month.